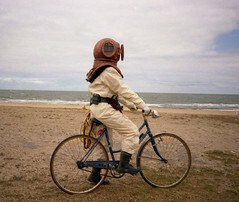 Ever had one of those days where you felt like you were riding around with an old diving bell on your head? Uploaded by zero g | more from the Bike Hugger Photostream. Next Next post: “Nada Bike” Get it?